Shannon Evans is off to Arizona State. 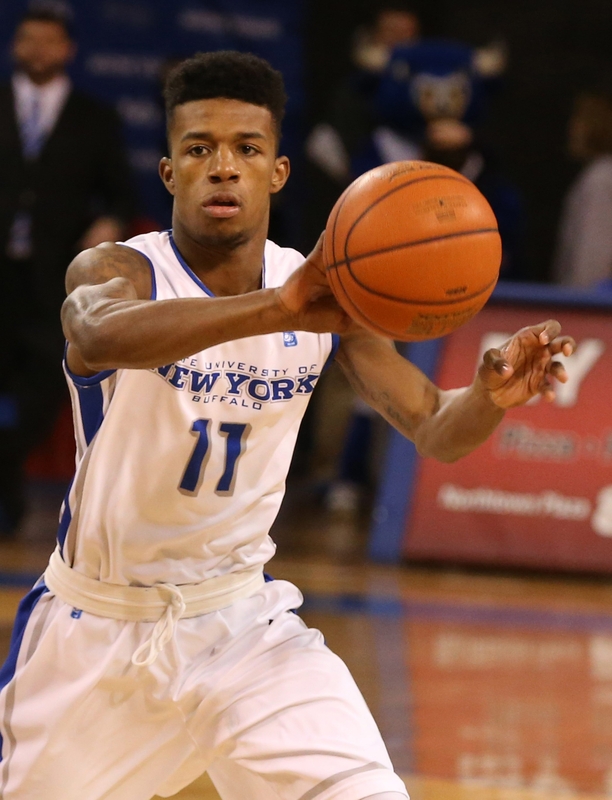 University at Buffalo guard Shannon Evans will join former UB coach Bobby Hurley at Arizona State. Evans confirmed his decision to transfer to The Buffalo News Friday, and the move comes as no surprise. Evans and Hurley enjoyed a very close relationship the past two years at UB. Evans is on an official visit to the Arizona State campus. The 6-foot-1 Evans was a second-team all-Mid-American Conference pick this season. He averaged 15.4 points a game, seventh best in the conference. He also ranked third in the MAC in assists at 4.6 a game, third in free-throw percentage, second in steals and third in minutes played. UB gave Evans his release to transfer to any school on Tuesday. Numerous major-conference schools were interested in Evans, including Boston College, Illinois and Miami of Florida. But an Evans reunion with Hurley was always the likeliest option. “The fact that my best friend, my father figure, Coach Hurley, left that hit home with me,” Evans said of his decision to leave UB. Evans wants to try to prove himself at the highest level available to him. Arizona State is in the Pacific 12 Conference, rated sixth out of 33 in the nation. The Mid-American Conference was rated 10th this year. Evans will have to sit out the 2015-2016 school year before being eligible to return to the court. UB now will be on the trail for another perimeter player to add to the roster.